So far, 2013 is proof that the concept of remaking classic films is probably the wrong thing to do (from a critics standpoint I guess). First, we got to witness a rather bland reboot of The Evil Dead (entitled just Evil Dead). Now, we get another bland, lifeless, and unnecessary retelling of Brian De Palma's audacious (did I mention powerfully mesmerizing) Carrie. I get it. I know why films are redone. It's obviously to make money and to let a newer generation get to experience something similar to what went down over 30 years ago (blah, blah, blah). Listen, if these films didn't have an original copy that came before them, then maybe they'd be okay on their own. But the fact remains that The Evil Dead (1981) and Carrie (1976) already claimed their stake and to give them a second interpretation to me, is just sacrilege. All explanations aside, with this current 2013 release, we get performances that are second rate (with the exception of Julianne Moore who plays Carrie's mom and Alex Russell who plays a slightly different version of John Travolta's character who is Billy Nolan), direction that lacks the swooping camerawork/spilt screen effect courtesy of Brian De Palma (even though it was helmed by the critically acclaimed Kimberly Peirce), and a lack of plodding creepiness that made the original such a 70's relic. Even the musical score has been modernized and filtered through an MTV type vibe. Yes, this version is much more violent and its lead does some pretty demonic things (the final scene at prom gets a startling makeover), but there's no sense of awe or dreamlike intensity that made the first one so mystifying (the opening scene in the original within seconds, trumps the new version). Also, the aspect of 70's culture feels more tailored to this type of flick than having it take place in present day (the new Carrie has the ever popular IPhone/youtube phase going on which I know is keeping with the times, but seems overly emphasized). In hindsight, this is a faithful yet laughably unfaithful rendition of Carrie and it's far from memorable or compelling. It hinders itself disposable and has the quintessential feel of every reboot you've ever witnessed (this is not a good thing). With good remakes (which are few and far between), the director adds a new twist or something more than an almost shot for shot retelling (sadly, this one comes pretty close to that). 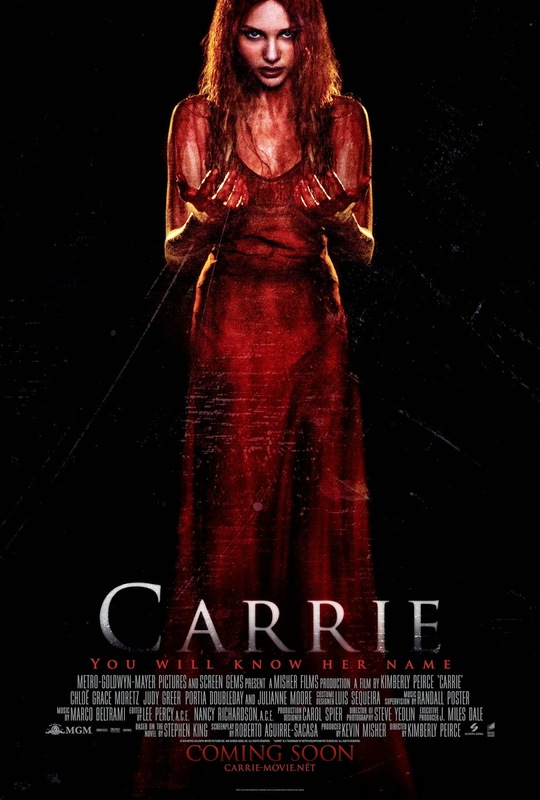 This new Carrie is on line with the type of modern horror films in which sterile, stylized blood and gore drips all over the screen while barely frightening the audience. Maybe it's me but I miss 70's and 80's horror films. They're grittier, eerier, and because of the time passed, grainier. Unless someone figures out how to reinvent the horror genre, we're gonna get scary movies that come off the world's biggest artificial assembly line. But hey, they're probably gonna keep making money because people wanna jump out of their seat (or think they're actually achieving that reaction). In retrospect, Carrie didn't need to be re imagined (even though it kind of wasn't). It comes from the mind of someone who is too good for this type of stylized hack job. 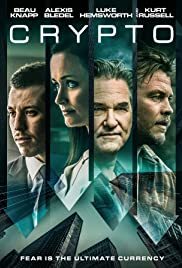 It's as if Kimberly Peirce (director of the powerful Boys Don't Cry) was so worried that she wouldn't get another directing opportunity and had to settle for this one. I'm hoping that she gets back to what she does best which is making hard hitting dramas based on fascinating true stories. She does get the set design right though because the White family home in this version of Carrie seems like a dead on replica of the one in the original. And Julianne Moore does harness the same psychotic intensity brought on by Piper Laurie in 76'. But alas, there's a moral to all this. Don't remake a great film when you know it's better to remake a bad one. To end this review, I'll leave you with the famous line from both Carries which is, "they're all gonna laugh at you!" Yeah, they're all gonna laugh at you, the viewer, if you think this is a serviceable motion picture.